The crew at EpicReads had the chance to hang out with Veronica Roth on the set of the Insurgent movie. According to the New York Times, Veronica Roth’s next book series will see its first release in 2017! I know that many of you are pumped for the upcoming movie release of Insurgent and now you have even more to be excited about! Today I was wondering what the YA sales charts for Amazon look like in other countries. 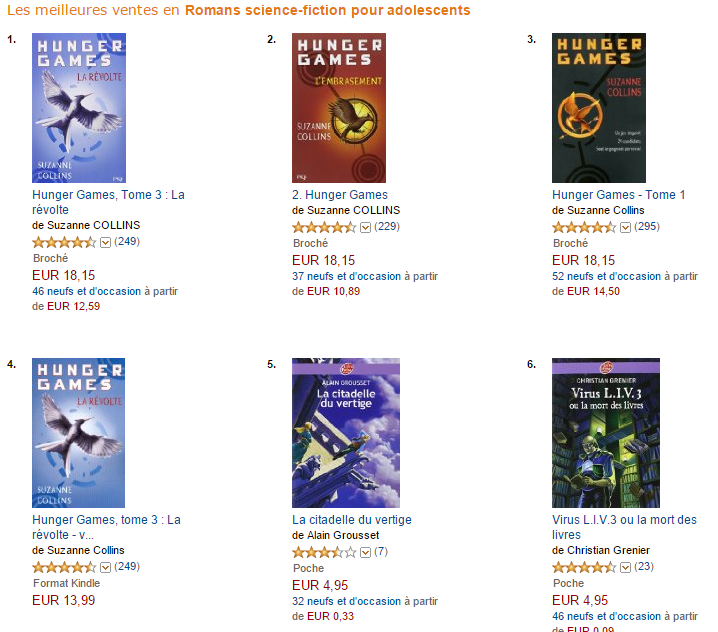 I found the best seller page for teen Science Fiction and Fantasy on the Amazon US site, the Amazon UK site and the French site, too. Let’s check out how they differ. It appears that people are really interested in finding out more about this mermaid’s sister. It’s a title I’m not familiar with…and, actually, I don’t recognize two, three, or four. Looks like I have some catching up to do. 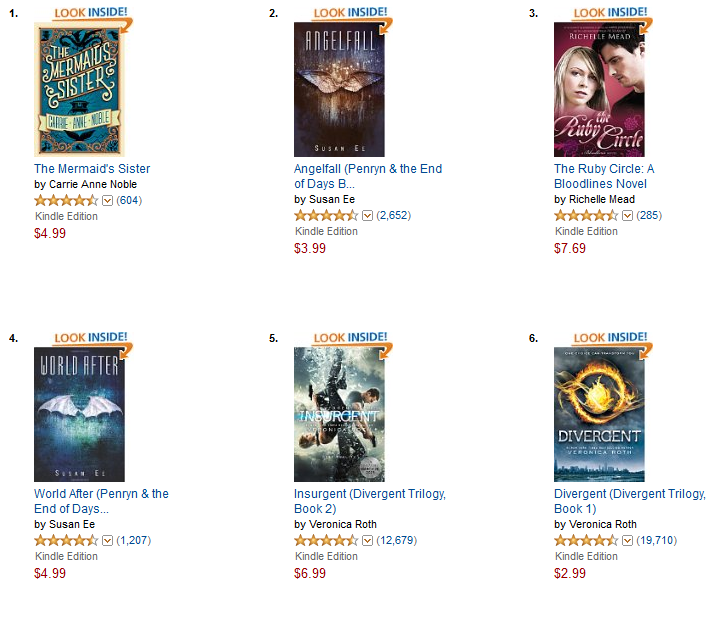 My guess is that with the Insurgent movie only three weeks away, those books will all find their way into the top five. It seems that in his native land, Harry Potter is still the king of YA literature. And it seems that they also have taken a shine to the mermaid and her sister. 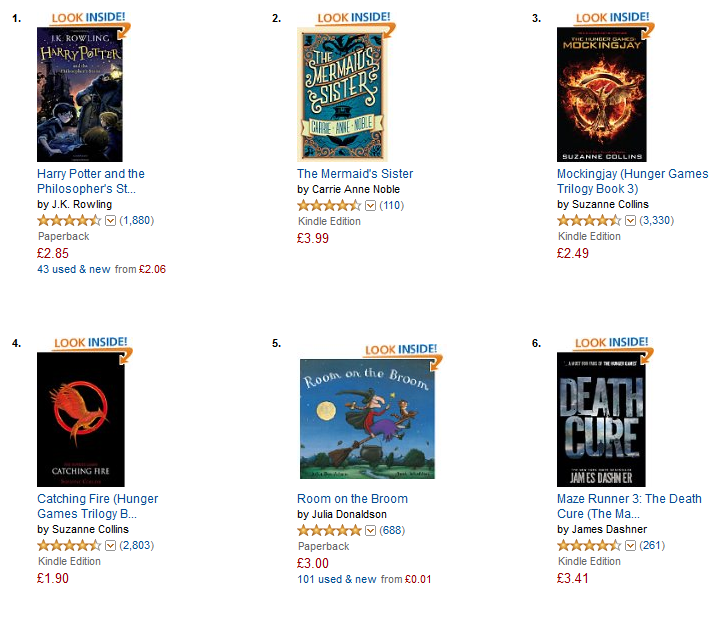 The Hunger Games is selling well and James Dashner has his Maze Runner finale in the top six. The UK site, however, also mixes in children’s books, which is why book number five seems very much out of place. Have you seen the full trailer for Insurgent yet?